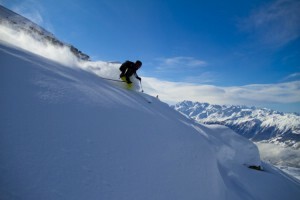 We often get questions about the best off-piste in the Alps. Where is the best snow? Which is our favorite resort? Good questions but the best off-piste is not so much about a particular resort, rather which place has got the most snow lately. This is the trip that takes you to where the snow is the deepest right now! The layout is simple, a small group of skiers and a mountain guide with a van meet at the airport and drive to where the riding is the best. 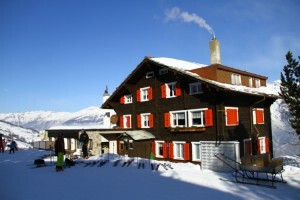 Accommodation, ski passes, avalanche rescue kit and ABS-packs are included! All you need to do is select one of our departures and book a flight ticket to the Alps. Yes, it does! This is the way we choose to go skiing ourselves. Conditions are tracked through forecasts, satellite images, and a large network so that the best spot can be selected just in time for departure. This is a ski trip, not a road trip! Either we stay with the same accommodation during the entire trip or we switch depending on the snow conditions and what best suits the needs of our guests. Distances in the Alps are short so we can quickly move from one resort to another. This often makes it possible to stay in the same hotel each night but explore different resorts by day. Our van brings us where we want and all the transports are included. 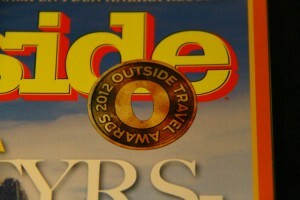 However, our goal is of course to spend as little time on the road as possible. 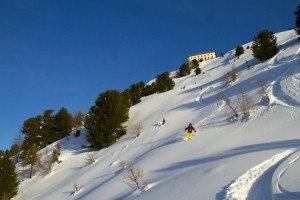 During a Best Skiing trip we take advantage of the fact that the Alps are the most lift-dense mountains in the world. Ski passes are included. Usually we use one-day passes in order to maximize flexibility and most of the runs are made with a lift as a starting point. However, sometimes a short hike with your skis over your shoulder or on your pack is really worthwhile. Quite often groups also wish to explore the back-country on skins which is of course also an option; having skis with touring bindings and skins is an advantage but touring equipment is not mandatory to join this trip. Avalanche safety, companion rescue, and operating the ABS-pack are skills we practice on all our off-piste trips. 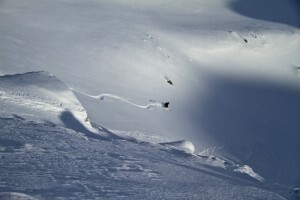 Actually you may regard a Best Skiing trip as an off-piste course as the mountain guide continuously shares findings and provides motivations for decision-making with you. Shovel, probe, transceiver, and ABS-pack are included. Also harness, rope and any other specific safety gear required is provided when necessary, for example if you choose one of the wonderful glacier runs the Alps are famous for. 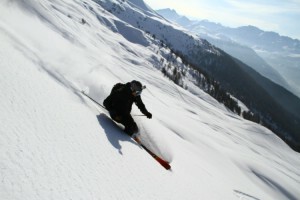 We take a maximum of six skiers or borders per mountain guide. By experience we know that larger teams do not enable as high-quality riding and they decrease flexibility drastically. This is a pure off-piste product for those who have previous experience from off-piste and have reached an intermediate to advanced level. For those in the beginning of their off-piste career we arrange special off-piste introduction trips where all skills are trained from scratch. Due to ride-technical issues we choose to have separate groups for skiers and snowboarders. Please contact us if you are uncertain of your level or if you need help finding what you want in our program. As we may move between resorts we recommend that participants who need to rent ski or snowboard gear do so in advance at home. We stay at basic, but clean and atmospheric hotels. A note on food – it has developed into a sport amongst both the participants and the guides to find the culinary gems and other nightlife activities once the skiing is done for the day. • Hotel accommodation in double room, upgrade to single room can, if possible, be arranged at a supplemental cost.